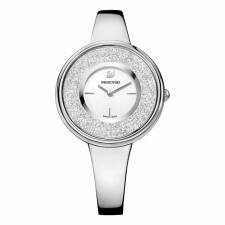 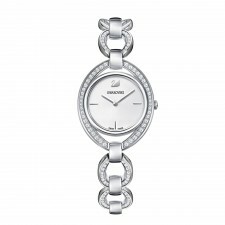 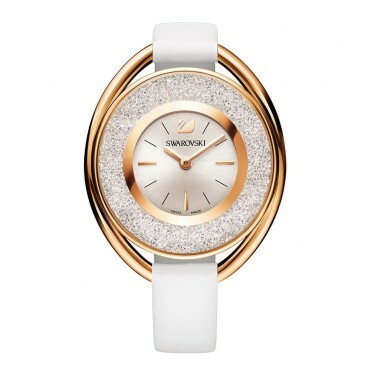 Add glamorous Swarovski sparkle to your wrist with this chic and innovative timepiece. The white leather strap, white silver-tone sunray dial and rose gold-plated metal combine perfectly with the sleekly-designed case has been inspired by modern urban trends to match any outfit. 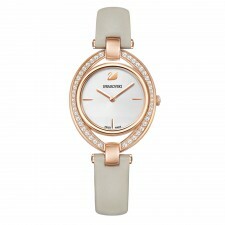 Case - 37 mm, water resistant up to 30 m, Swiss made.